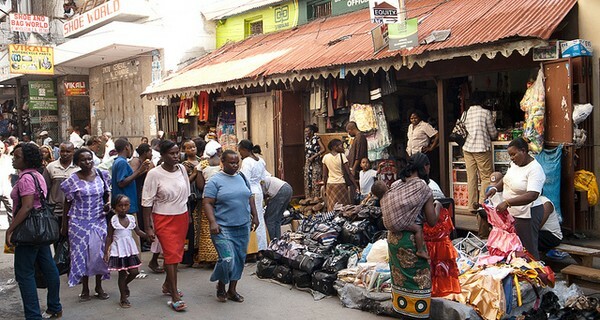 Nearly half of small business owners in Nairobi are women. Take Jemimah Njoki, who runs a shop in the Kenyan capital. Like most other shopkeepers in Nairobi, Jemimah used to close her business at sundown, or use polluting kerosene lamps or candles to stay open after dark. One Degree Solar, a solar energy product provider in Africa founded by Gaurav Manchada, is working to change the lives of Jemimah and other small business owners like her. The company provides chargers, batteries and lights driven by solar energy, including a first of its kind BrightBox Plus, which comes with a 10W solar panel, two LED bulbs and lighting cables, a radio charger, and a universal charger for a range of popular phones. The battery can power two bulbs for eight hours, or one bulb for 16 hours, and retails at Sh 7,000 (less than $70). The BrightBox Plus is built with an open-hardware design so that it is compatible with most 12V DC bulbs and standard motorbike batteries available in most local supermarkets. “We have already sold 4,000 units in Nairobi, Kisumu and Western Kenya and are currently venturing to Coast and Mt. Kenya regions,” said Manchada. The company has partnered with Coca-Cola to provide subsidised units to qualifying small business owners in Kenya, which has enabled businesses to stay open for around four hours longer, increasing earnings by 15% and cutting energy costs by more than 90%, while removing risks from fumes and potential fires caused by kerosene lamps and candles. Jemimah is certainly happy with her new BrightBox Plus. “Since I received the BrightBox Plus solar kit, I don’t use the candles,” she says. “This makes a big difference in how we operate our kiosks and how much money we make at the end of the day.” If you’re in Kenya, you can send a free SMS to 20181 to learn more.